“THAT was amazing,” declares Dr John Watson. Watson (Martin Freeman) is talking in the back of a black cab to Sherlock Holmes (Benedict Cumberbatch). But he could also be describing new BBC1 drama series Sherlock. One of the best small screen debuts I have seen in years. I regularly drive past Baker Street and, of course, have Gerry Rafferty to hand every time. But I’ve never been a fan of Sherlock Holmes. Until I saw this fresh, witty and modern re-invention created by Steven Moffat and Mark Gatiss, produced by Sue Vertue. Moved out of the Victorian fog and set in present day London. 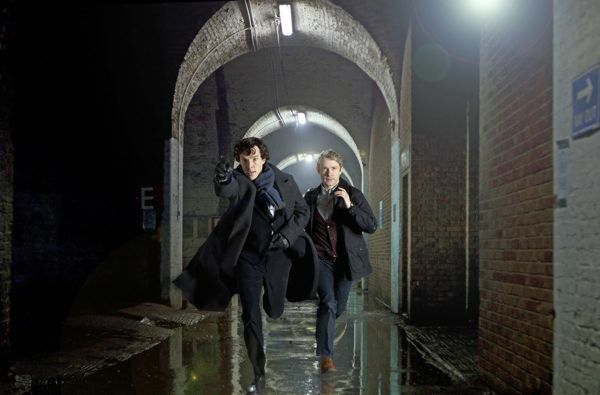 With, for my money, Cumberbatch and Freeman the best TV male double act since Glenister and Simm in Life On Mars. It opens with John Watson having flashbacks to his traumatic time as a British Army doctor in Afghanistan. Before moving on to the first meeting between John and “consulting detective” Sherlock, which is similar to their initial encounter in the original story. “Holmes is someone who hasn’t been re-invented in the 21st century until now,” explained Benedict on BBC Breakfast today. “He is fallible. There are red-herrings, there are dead ends. Sometimes he gets it wrong. You can see part of this morning’s BBC1 interview here. The first three 90-minute films are a mix of material from the original stories and new material. Dazzling in all departments, including music by David Arnold and Michael Price. The first film – A Study In Pink – is partly a homage to Arthur Conan Doyle’s first story to feature the fictional detective – A Study In Scarlet – written in 1887. 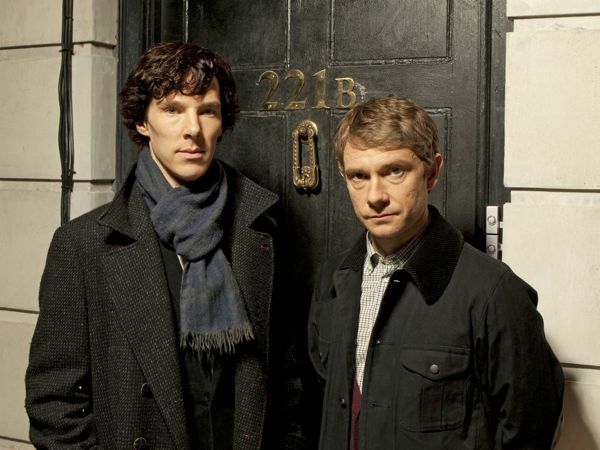 Mark added: “We love Sherlock and are very confident about what we’ve managed to do with it. *Sherlock begins on BBC1 at 9pm on Sunday. Posted in News and tagged Benedict Cumberbatch, Mark Gatiss, Martin Freeman, Sherlock Holmes, Steven Moffat, Sue Vertue. Bookmark the permalink. absolutely loved this programme last night, i’ve followed your blog since life on mars, and watch out for programmes you recommend, you haven’t failed me yet. I couldn’t agree with you more. I’ve watched the 2 episodes broadcast so far. 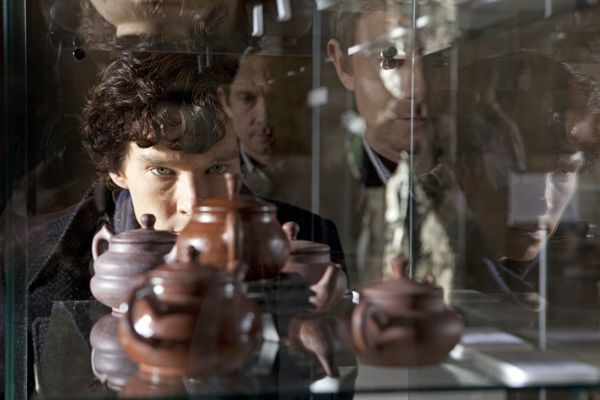 The writing is witty and clever, and the interplay between Watson and Holmes superbly acted. I’ve rarely known 1½ hours of television pass by so quickly. I do hope the BBC will commission a 2nd series!